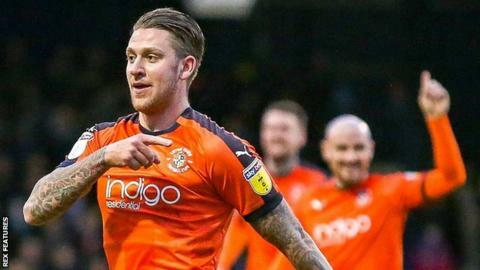 League One leaders Luton made it 20 games unbeaten with a battling win at Fleetwood. It was a tasty, physical affair but with the challenges flying in and yellow cards thrown around like confetti by referee Peter Banks, Luton stuck to the task at hand. Fleetwood's chance of earning their first points after conceding first was all but put to bed moments into the second half when Ruddock curled in from 20 yards. They did set up a nervy finish when Madden rifled home in the 90th minute, but Luton held on to remain six points clear at the top.